Done. I added AT25DF512C-SSHN-B SPI Flash for OTA too. Why not to use 3V from power board directly? Which regulator is original one on power board? The thing is that I'm using the rfm69 radio module which draws a little bit more power than the nrf24l01 counterpart. It takes as much as 45-55mA(maybe 60mA at peak with all the rest including the microcontroller and the rest of components) and the avaialable regulator from the board supports 30mA (it's a 7130-1 device: http://www.bookly.com/images/BM71xx.pdf). Now it's true that the high power draw happens only on Tx(which doesn't take too much time usually - I think when using OTA it may be a little bit more intense) but I didn't wanted to risk. Im really curious with this project and I go to order one Livolo switch now! I could use for example a more capable 3V regulator instead of the original one but again this is not ok as linear regulators are not very efficient when a big voltage drop is to be applied: 12V - 3V = 9V. This combined with a 60mA peak current leads to a 9V x 60mA = 540mW dissipated power on the linear voltage regulator which is a little bit too much as far as I know. Either way it requires hardware intervention so yeah...I don't think it matters too much. I didn't started with the nrf24l01 radio because I had a not so ok experience with it previously(packet loss and such) so I switched to the more capable rfm69 and it works flawlessly now(I have some other Mysensors nodes which I didn't published yet on openhardware.io but I will when I have time). I'll do some more investigations regarding the power supply first and then I'll send the gerber files for production. I'll keep this thread updated. I will follow your evolution really close. I hope in few time you can post to us "first shot" from your pcb design for test. Hello, that's a great project, you have a bit of advance on me. I'm working on the 3 and 4 buttons US/AU sizes and with NRF so we're still doing different projects at the moment. I'll see how it goes with the NRF, if it's fine or if I need to switch to RFM then your changes will be useful. The TX period is very short and power can be supplemented by a capacitor (like on button cell nodes), and most of the time you will be in receive mode with 16mA of power consumption. To allow more freedom in driving the leds on the 4 buttons version I bought some 7330 which can dissipate up to 0.5W, if you reach that in very short peaks only and with help of a capacitor I think you should be ok as only the average power dissipation matters ? It's interesting anyway, as I have 12V available on the US/AU sensor board, I could use a buck converter too and get much more available power to drive the leds for a similar power draw from the relay board and keep that board intact. Thank you very much for the idea ! The above scenarios were tested with and without the front plate and I achieved the same and constant results on the dc-dc step down converter output: a steady 3.25V(as I managed to get by adjusting the on board trimmer). The DC-DC step down regulator is a cheap one bought from aliexpress which does the job pretty well. After attaching the above setup to the real livolo switch I will come back with the next set of results. Stay tuned. After putting this thing to real life test...well it seems that it's not behaving as expected. Somehow it was expected actually because the standby circuit used in these Livolo switches is so weak(I think it provides a few mA - max 10mA or so). And again as expected it cannot sustain the RFM69W beast. I tried to do all kinds of things to lower the power consumption(sleeps and other things like reducing the radio TX power) but it's still unstable. I switched to NRF24L01 and tried the same stuff...this setup works better but still not enough stable. I even modified the board as suggested by this post: https://forum.mysensors.org/topic/2775/livolo-glass-panel-touch-light-wall-switch-arduino-433mhz/63 and still no luck: the system starts indeed and I can switch it wirelessly but after switching it off it dies when livolo gets back to the standby power supply. I supplemented the arduino power supply input with some high capacitors but that doesn't seem to help too much. So for now this project is on hold unfortunately until I find another solution for the power supply part. This part kills me...why don't we have the second wire in the house besides the live wire?? I know the answer to this question but still...in some countries it is present in the house electrical wiring for the light switches. I think you have the solution very close. I´m sure It is simply a matter of "fine-tuning" the Livolo's power circuitry so that they can provide enough energy (much more than designed) for the extra circuitry, something for which they are not prepared at all, but should not be too difficult to achieve if necessary. Considerations. 1.- The power circuit depends on the "consumption" that can be achieved over the load connected to the switch, so it is necessary to ensure that the load has enough "power draw" to allow pass through at least 100-150mA from AC which should be achieved with a load about 40/60W. It is also something that can be compensated by adding a bypass capacitor (parallel to the load) of between 100 and 470 nf (of type X2 and 250V better 400 V to go safer), but all this is matter the try and error to achieve the target. 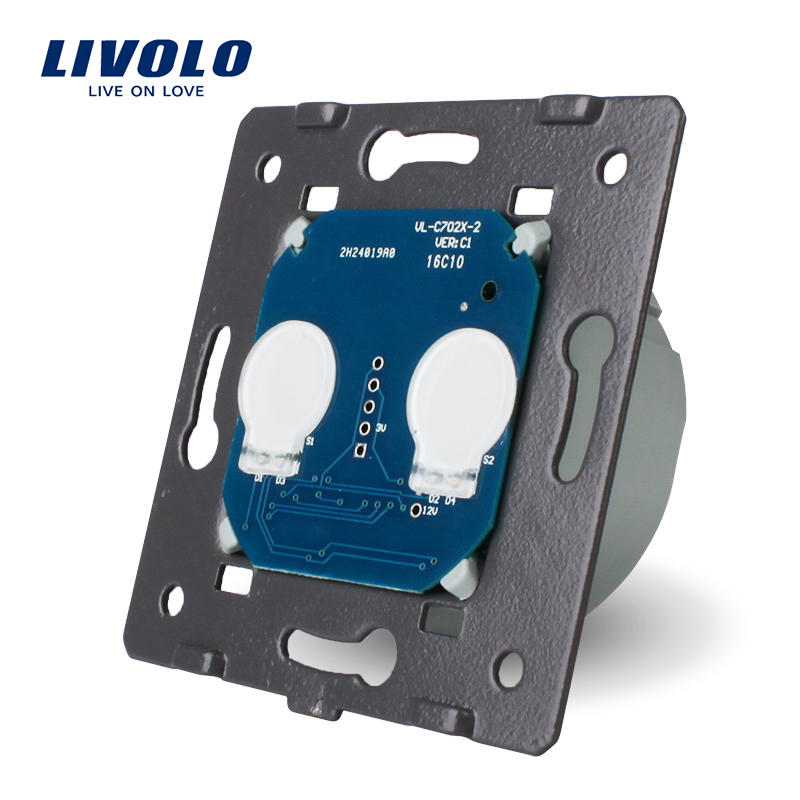 2.- It must be able to avoid the Livolo power circuit so that additional power can be consumed without being affected by the circuit status of the switch, either in standby or active mode. In theory that can be done through the bridges @DJONvl and @Tigroenot indicates in the post you mentions https://forum.mysensors.org/topic/2775/livolo-glass-panel-touch-light-wall-switch-Arduino-433mhz/63 , and whit that should be possible to have the necessary power and several of them seems have confirmed that it is possible. Perhaps the problem arises to be able to correctly identify which are the correct modifications to be made in each Livolo switch since there are different types of circuits according to the world region to which they are addressed and different revisions of printed circuit so it is critical and not very obvious as Identify the jumpers and connections to be modified and how the power bypass in each case must be performed in order to extract the current to feed the additional circuit. I think the latter is the most complicated and difficult to perform correctly, but nothing compared to all the work you have already done, so I'm sure you've almost got it. If I could help you, I suggest some posts (unfortunately only spoken in Russian ;-), o. c. you need use google translator to try to understand) where you will see in the lower page intersting people discussions that are given some patterns and ideas to modify the circuit and that seems have managed to extract required current to power additional circuits. I also indicated the analysis (I think original) of a person who performed reverse engineering to extract the schematic circuit from the assembled Livolo switch and where it discusses some aspects of its operation that can help. Please do not be discouraged and persevere a little more than you already have it! You're a genius!!! I forgot about the parallel capacitor which has to be put on the load(light bulb). I picked a 470nF and a 20W fluorescent light bulb and it works like a charm now and with RFM69W too!!!. Thanks so much for reminding me about the capacitors. Now I can continue and finish this project. Will come back later when my PCB's arrive and assemble the final product. Stay tuned. Big congrats to @jirm, @DJONvl and @Tigroenot and the rest of the community of course which contributed with the knowledge to make this possible. This is really a big step ahead. 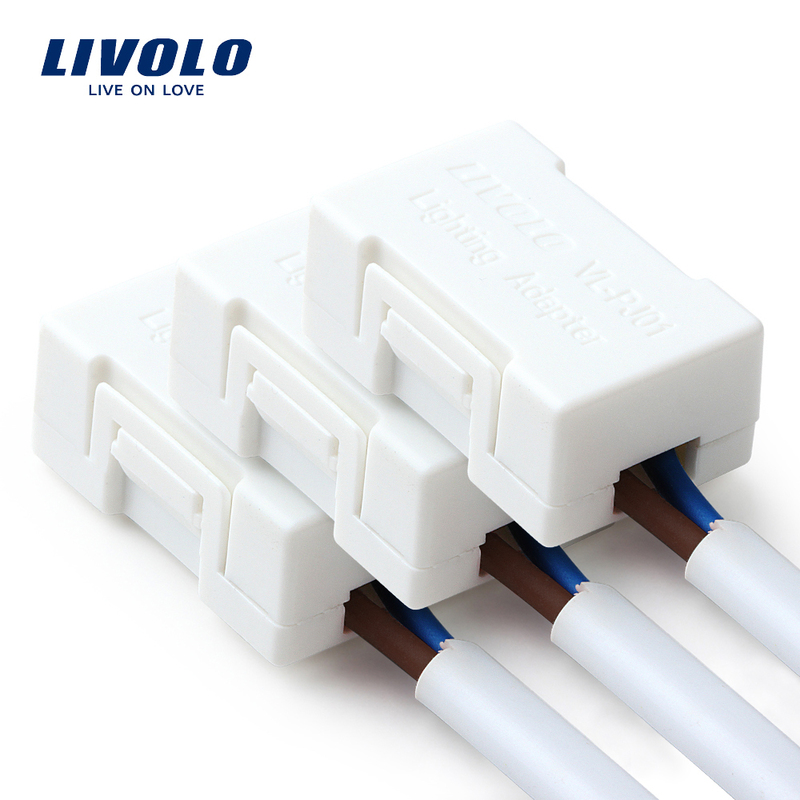 Livolo also sells some "lighting adapters" that do the same job than the parallel capacitor but a bit more advanced and I think a bit more efficient. These are probably not necessary all the time, I had no problem to power a pro-mini and a nrf24 from the livolo switch when I tried. But as I have a US/AU version made to have up to 4 relays the supply might be a little bit more tolerant. I started to solder my first PCBs for the US/AU switches, I suffered with my first SMD atmega but it's in place and running fine now I hope to finish a first board and test it on a real livolo switch next week. The relay used on these boards is the latching type. So it doesn't require much power to operate as it needs only a small duration voltage pulse to energize the corresponding coil(set or reset) and the rest is done by the integrated mechanical part in combination with some magnet so that it stays "latched" in one position. This way we don't need to keep the relay coil energized all the time in order to keep the contacts ON so it's a let's say "low power" relay. The disadvantage is that it needs 2 digital pins to operate it if it's the 2 coils version and a H-bridge I presume if it's the single coil version(this one needs the polarity reversed on the coil in order to latch between the ON/OFF state). And another thing is that because of the above mentioned "latching" property this device has "memory" so we need to take care of that too as to not leave the lights ON for example in case of power failure. This can be easily achieved when the microcontroller starts in the "setup" routine by resetting the relays(I already tested this part and it works). 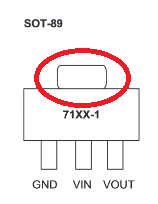 Now I know that these livolo switches have 2 more pins on the boards connector marked V_SENSE1 and V_SENSE2 if I remember well - I presume that those provide some voltage based on the relays state ON or OFF? I didn't tested that yet so I'm not sure if it's true(it would be great to be so as we can query the switch state using those signals instead of creating some variables in the sketch to hold the relays state). Indeed it seems that it's not just a simple capacitor inside it. Well the whole purpose of it and also when using a capacitor in parallel with the light bulb is to have more current to pass through the series circuit so that the livolo power supply can provide much more power in the standby mode(when the light is OFF). Take for example the simple capacitor: we know that when used in AC circuits it has a reactance which is kind of a resistance with a value that depends on the capacity and AC frequency. So if it's mounted in parallel with the load it reduces the overall resistance that the light bulb may impose in the circuit. We know that in a parallel circuit the lowest resistance element wins right? This way if we choose a proper value capacitor we can reduce the overall resistance in the circuit so more current can flow - this is needed in the OFF state as the standby circuit is weaker in this case. In the ON state the load is powered and much more current flows in the series circuit so no problems here. The only drawback in the ON state is to not use a too big capacitor so that it draws more current than necessary (it's in parallel with the load remember?) - in this case the light bulb could not work properly as it's bypassed by the capacitor so to speak. I used a 470nF capacitor with enough voltage rating and it works just fine...I will test with a 100nF capacitor too. The above circuit is for controlling AC loads using MOSFET's so it's not related to our case but to ensure correct DC functionality I think they use the same ideas with diodes. The rest of components are for MOSFET gate proper driving I presume. Another advantage of using that mosfet based circuit is that it's much smaller than using single capacitors. Capacitors tend to be bulky as the capacitance and/or voltage rating increases. Just my 2 cents here. Hi @mtiutiu, You are the genius !!!. I'm really happy to hear that you've finally achieved the desired results. Believe me that joy is mine if on anything but minimal I have contributed to you can achieve the desired goal. I firmly believe that your development is the one that with difference and from my modest point of view has the key to success both because of its general approach and the fabulous development that I see you are performing in the accurate design of the additional circuit and I am sure that this design will be the future reference to give the Livolo's the possibility about true bidirectional RF control. Regarding the circuit that Livolo sells to avoid the problems of switch flickering by low power loads (less than 3W) this is a circuit with active components and is not a circuit designed to provide more power but to guarantee the switch of a " minimum " but regulated and constant current and providing it with better immunity because the current fluctuations caused by some electronic loads (led and similar) when they are at rest. So it is not at all something that can be compared to the function of the capacitor in parallel to the load that provides an absolute increase of the current flow through the load circuit (and therefore of the switch) due to its behavior resistive in AC (more correctly its impedance), and this last is the characteristic that here we are looking for. Just point out that a couple of details regarding the use of a capacitor in this way, and is that the consumption will be constant activated the load or not although we speak of an increase in very low consumption (100ma @ 220V = 2.5W aprox) but should not be neglected if we intend to "modify" by this way a relatively high number of loads and in this cases I think at least imposes a previous calculation of the constant power that we will increased because of add a "pile" of parallel load caps. Also not should we lose on sight the fact that we will introduce a reactive component (reactive power) that can affect the character of our electrical installation and that as I say if it is used generically in many loads it is necessary to calculate its effect in our installation to avoid some displeasure with our electric company and their invoices. Finally let's do some simple math to calculate a capacitor value that might be appropriate. Thus, the capacitive reactance is expressed as Xc = 1 / (w * C) where w is omega (equals 2 * pi * f, where f is the frequency) and C is the capacity in farads. Summing up the capacitor you have tested on 470nf gives you a constant current of about 15ma when the circuit is in standby (load off), and don't forget we have a capacitor so we can achieve much more current from his reserve (this is for what was designed) and we can manage the current peak draw when RF transceiver are full active working on sending (Hope RFM69W/HW typically have current peaks over 30-40 ma on 100-200ms duration on sending cicles at full RF power) and seeing all seams should be enough to power any RF transceiver and a low power mcu if its consumption is well controlled by its proper use. With this capacitor we are increasing the consumption of the load circuit in only about 0.5W, but let's not forget that this will be constant consumption in 24/365 hours / days a year. So I keep close tuned with your evolution here. Yes you're right about the mosfet circuit - I think I've gone too far with it :simple_smile: . The rest of the circuit analysis was already done by computing the capacitor reactance in AC(I used the well known formula that you already mentioned). The second part regarding the reactive power/energy which these elements(capacitor and/or inductance) are creating - well, that part I didn't took into consideration yet and you're right here too. But for small capacitor values I don't think it will matter that much - well it matters when you have lots of them spread in the house for every light - that's true. In this case I assume that the power factor(and the power factor correction) needs to be taken into consideration as not all light bulbs today are simple light bulbs but in turn may contain power supply circuits too with reactive elements inside - like those which are using LEDs or fluorescent ones. But for now I don't know of any other solution to work with these live wire only power supplies in order to provide enough current for this project. As I've seen you know much more than me regarding power electronics and AC circuits in general so on this part I still have things to learn(as with electronics in general). Thanks once again for your help. I appreciate it. I totally agree about all your observations. In our typically use case (on house with maybe 10-20 switch´s total) all my considerations about reactive power and consum increase can be totally overlooked because we are on really small values, but I think we need make all the important and proper warnings for anyone try to use on "any" environment. And I think is so very difficult to find any other alternative solution to the proposed, which I insist that in any case and according to all the data we have is fully adjusted and satisfactory to our needs. Tested the livolo mysensors node(RFM69W) with a 5W LED bulb and a 100nf/400Vca capacitor across it and it works perfectly(the modifications mentioned in this post: https://forum.mysensors.org/topic/2775/livolo-glass-panel-touch-light-wall-switch-Arduino-433mhz/63 were preserved). The power required by the custom livolo front plate is about: (50-60)mA x 3.3V ~= 180-200mW at peak(when the radio is in TX mode) and the internal livolo power supply provides about 12-14V which in turn means the max current needed from it is about: 180-200mW / 12-14V = 15~16mA. A 100nF capacitor has a reactance of ~31.83Kohms at a frequency of 50Hz which means the current it allows in the series circuit when the light is OFF(excluding the internal resistance/reactance of the livolo power switch) is about: 220-230Vac / 31.83Kohm ~= 7mA. To this value the light bulb current in the OFF state needs to be summed up as it's in parallel with the capacitor so maybe we get around 10-12mA in total which is more or less close to the above 15~16mA. Now the above computations are very rough ones and based on effective values(as we have an AC circuit under analysis) and without taking into consideration the internal livolo power supply resistance and the one that the light bulb has in reality. Okay. According to your observations 200mw (peak) is required to feed the additional RF plate and to that must be added the self-consumption of the Livolo's power circuit. I believe that in this case, it is not so important to calculate the peak power because given the dynamic of our operation (the peak power transmissions usually need a few ms), I'm certain that this peak power can be easily provided by the own current reserve stored in the capacitor itself, and because that I think is necessary focus tries to guarantee the stable supply of current for the "normal" operation of both circuits (additional plate and livolo), and that requires at least 15ma (I think that is the min) and much better if we can guarantee about 20-30ma. So trying to make a global vision of the power needs for that project in general and taking into account that usually we will always ignore the true capacity to generate current of the several type of loads that can be connected, the different topology of housing wiring (self-capacity, spur, etc ...), the huge variations in impedance of the loads according to their type, their dynamics of operation, etc. I think is much more reasonable and closer to the real needs use capacitors of at least 470nf min (although I would opt for 680nf or maybe 1uf), to guarantee that there will always be a enough constant current supply capacity really closer or exceeds demanded in any circumstances. Therefore I would not consider so much in calculations the capacity of the own loads for the power supply and only would calculate the capacity of supply by using the correct value of the capacitor that in any case will have to be installed. I think it is very important to guarantee the stability of the circuit operation (speaking in the long term) given the "infinite" possibilities of characteristics so variable that can be found in the installations of any house. Collaterall efffect: When installing this capacitor we removed the load limitation of > 3w for Livolo's Switch, so generally now they can be used "independently" of the power and type of the load. I don't think ther didn't know about that. I bought a cheap US/AU switch with no visible brand on the front plate. It has 3 switches and a radio receiver and I paid 12$ only. The power consumption seems much less optimized (I have one bulb flickering with this switch while it's fine with Livolo) so in the box, they provided a capacitor to put parallel to the load. I think they just prefer to sell the 3+$ "lighting adapter"
@Nca78 jejeje, " We have just solved a serious problem for Livolo manufacturers " of course I only wanted joking with that. Livolo guys know perfectly what they are doing, and what are their objectives. I suppose my question is a bit too early to ask, but what could the total price be for each complete switch? This is a truly awsome projekt, huge respect for your work! Thanks. Well the prices vary depending from where you're sourcing the components. I will update the BOM using EU prices as I'm from EU. But if you can source them from aliexpress from example you can get them at half the price - maybe even a quarter(this depends also on the fact that you trust the China suppliers from there). I bought components from aliexpress and I think I had one unfortunate incident until now: some L6920 chips that I bought were defective and/or fake. That's because you have another hw revision and maybe you bought a non-EU switch? I started this hw design using the EU variant because I'm from EU. I specified all these details in the project page too and for which hw revision of the board - quoting from there: "...the EU variant that I have(VL-C700X-1 Ver: B8)...". This hw revision of the board uses a 2x6 pin connector with 2.54mm pitch. But if you can give me a dxf file with the front plate outline, touch sensors copper pads and 2x7 connector locations I can transpose that over the current board and do the arrangements so that it will align with yours too. One other thing that's needed is the 12V and 3V assignments to the 2x7 pin board connector and the relays drive pins too. 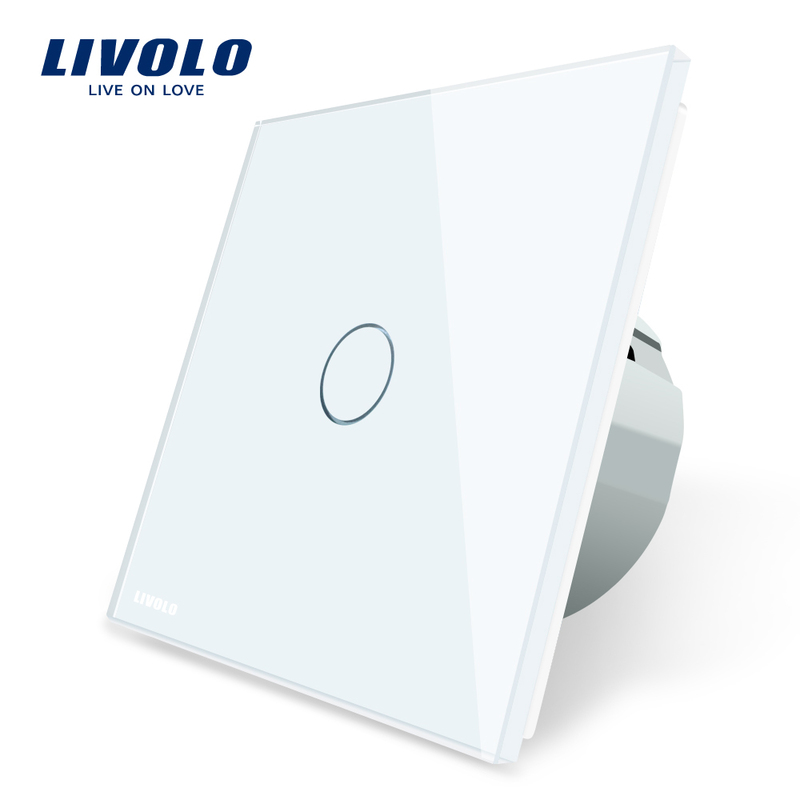 I see here https://forum.mysensors.org/topic/2775/livolo-glass-panel-touch-light-wall-switch-arduino-433mhz/72# that @Nca78 posted that configuration but maybe you need to double check?? Yes I suggest a double check as mine is a US/AU format. After a really long time I received the boards. I finished the assembly for one and uploaded some code to it. So far it seems to work but I need to perform some more tests. I attached some pictures of the finished product. . The silkscreen text is a little bit blurry and it was a little bit too small for the fab to print it so in some places is not right...anyways this is not important but the functionality is. One note: the board round edges may be a little bit off the limits but that can be corrected by using some abrasive paper to remove the excess material(which I did in the above pictures and then the board fitted perfectly). Really a good job. Perfect looking and really accurate design board. Sure it´s a winner project. I only wait you can post us how can we get these wonders. I updated the project page on openhardware.io. Added instructions too. I hope that I didn't forget anything. A capacitor is also needed in parallel with the light bulb otherwise the project board won't work as it doesn't get enough power from the standby circuit. I used a 470nF X2 type rated at 310Vac. I recommend using a light bulb of 10W or more(in my tests I used a 15W one.) I tested the setup with a 5W LED bulb but I got some instability from the livolo power supply board(it started to oscillate) - in this case maybe a bigger capacitor across the bulb might help(1uF one maybe). You don't need 2 capacitors in case of the 2 ways switch for each light bulb - one is sufficient across one of the bulbs. Oh and please don't touch directly with your finger the sensor plates - use the plastics from the original board. I'm not responsible if you get an electric shock. Big thanks again to @jirm, @DJONvl and @Tigroenot and the rest of the community of course which contributed with the knowledge to make all this possible. i don't find anymore the VL-C700X-1 on aliexpress. Can you tel me which is equal ? Please note that the board that I made is for the 2 channels model(VL-C702 series). Now I hope that they didn't changed the inside pcb hw revision meanwhile. The serial number that you mentioned and which I wrote about on openhardware project page is actually their pcb revision from inside the switch. I don't know for sure if that reflects the switch model which they advertise on AliExpress. But the link that I gave you is for the same switch which I bought some time ago because I took it from my orders list from my AliExpress account. I see now that the price is bigger... it was 13$ when I bought it. Did you test a two way switch (va et viens) ? No, I didn't tested a 2 way switch so I don't know how it behaves in that case. I don't have and I don't use switches with that setup. Can I suggest some improvements for that project? For sure I agree with @tonnerre33 about make a version board for only one gang switch. I buy regularly (once a month or so) some parts from livolo and from last 4 or 6 months I see that the switch plate boards (for the EU version) are the same on hardware specs at least from 6 or 9 month ago. But we can expect that in near future (maybe few months) Livolo manufacturer make some changes and updates on his designs, because they regulary are doing that in past. So we need keep prepared for that and for make the propper updates to this project to mantain it working with the next version Livolo switchs. -One gang switch I think is most common switch people have installed or at least I think is needed too with this two gang project version. 2.- Maybe will be better use (or make another plate board version) for the RFM69HW (high power), because the pinount on HW not match with RFM69CW you use, and HW type have same working specs but with the plus that HW type have high power possibilities and is most easy to find and both have similar price. 3.- How can be little better documented all the changes (wiring) we need do on the power relay plate board? At least for me is hard to do correct wiring only seeing the photo and is easy to do some mistake trying to solder the wiring in the correct pins and places. So I suggest trying to do some more work on that and maybe include some scheme and plan and take all best pic from each wiring bridge is needed to do that we can see without doubts the correct place to solder it. PD: @tonnerre33 I think one or two way switch function not be affected with this project plate board, because that function only differ on the pic (MCU) Livolo switch firmware and litles changes on power relay plate board to wire the additional pic pin output two way function to the COM connector. Nothing of that function should be affected by anything that this plate modifies on the Livolo switch. And what about NRF24L version ? Many people are using RFM69 but 2.70$ RFM vs 1$ NRF ... Ok for command the sensitives nodes like roller shutters but why for the light ? That all we need for do that is the avaibilitty to get your plate boards designs working on our houses. Personally I'm so busy (and so lazy) to make all this project working from scratch trying to find plate board manufacturer, solder all (wooow smd) parts, etc... etc... and need if possible some at least "semi-mounted" plate boards printed and with the smd parts soldered. Personally I think that much better specs from RFM vs NRF and the working radio band (433, 868 Mhz vs 2,4 Ghz) are most than enough reasons to spend that 2 $ more on RFM. So after some time of testing I give you the final revision of this board which is 0.5. The latest files are available on the openhardware.io page but always the most recent are on my github repo of course(I'll try to keep both in sync anyways). By using good tantalum caps where required I got a good stability for the node. It will be kept for testing for one month still starting from this week(testing already started). So far I'm very satisfied with the results. As a final note for all of you there: when designing hardware always use good components - especially good filtering capacitors because most of the issues and instability happens because of that. I will try to design the pcb for the one channel variant of the switch too when I'll get my hands on it so stay tuned. I see that some people asked why RFM69 instead of NRF24L01: this is because the RFM69 module is superior in terms of performance/stability/range compared to the latter(trust me it worth the money difference as I tested both along time). And because it works in the sub-GHz band it's also less prone to interference compared to the 2.4GHz band which is used by all Wi-Fi equipment. Wow, great. I guess there is no way to be able to buy these boards pre soldered w. components? Might be bad news in the (very) short term, but it will soon be much better as it means after modification to adapt to the new version @mtiutiu board should not require any hardware modification on the main power/relay PCB as 12V is now available. Well..I was expecting this to happen at some point in time. This is the nasty thing that may happen when you rely on some external board(s) to do your work. It is a good thing that the 12V line is now exposed..but the pcb needs to be recreated. And who knows in the future when it might change again. So in the end the best solution would be to have all the boards made(including the power/relays one) so that no one needs to rely on the Livolo company. But for the moment I don't have enough knowledge/time - at least not too much regarding power electronics and creating live wire only power supplies(including testing/safety/etc). @mtiutiu Hello, I wanted to buy 2 devices. For sale? how much is? Because some people asked here: I don't have anything for sale unfortunately and I don't have time to produce and sell ready made boards. The project design files are available for free so anyone can build it. 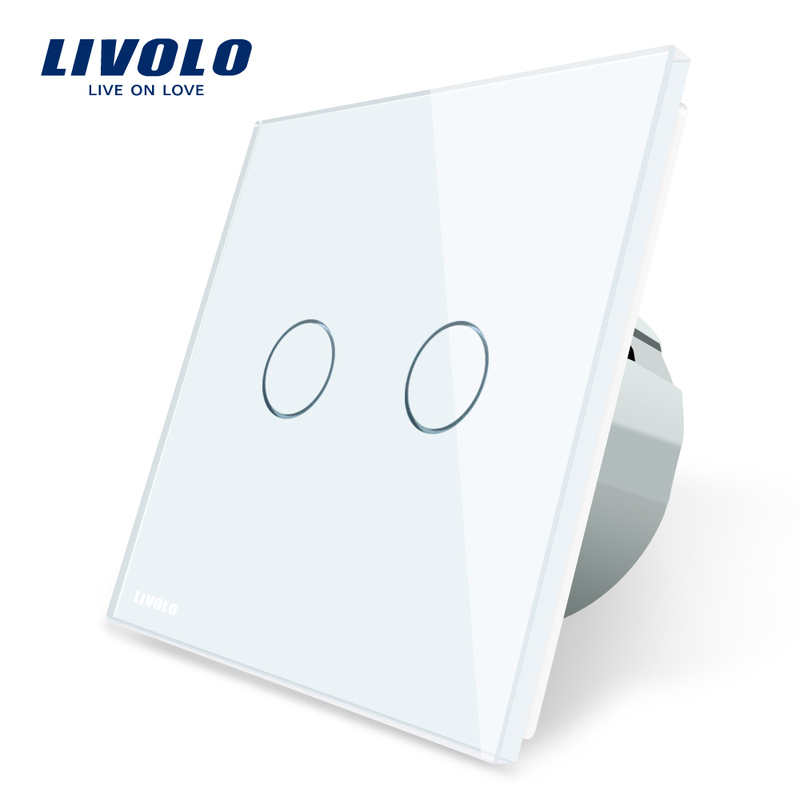 But be aware that you need to have the right livolo switches(as seen from the project pictures). Latest ones produced by the Livolo manufacturer use another hardware revision which is not compatible with the pcb that I've designed. Regarding BOM and total price for producing one board I didn't had time for that either and the thing is that the price varies depending from where you supply the components. @mtiutiu Thanks for the quick response, can only eat PCBs without components? I can not make a PCB. Hi @mtiutiu - Firstly nice work. I bought a few and sent on a little gratitude also. Is there a revision or something on the lenovo switches to make sure that I have the right one? I have quite a few now and a few more on the way so I just want to make sure I am all set. Few weeks ago I uploaded and shared to Oshpark pcb web service this @mtiutiu pcb design (but take care !!! I think this is not last one version @mtiutiu design), so anyone can easily find it there and order build some pcb if like. You can check it at https://oshpark.com/shared_projects , and easyly find it with only enter "livolo" word in the search case. Sadly I don't have enough time yet to involve more in this project, but in near future I'm going to that and test that awesome design that this project have. @jirm The differences between the hw designs that I made are very small and have no impact regarding the final functionality of the board(the OSHpark version is ok too). The biggest change was to trim down a little bit the round corners of the board so that it fits from the start inside the switch case(otherwise you need to use some abrasive paper to trim it a little bit - but not much). I also added a ferrite bead to filter high frequency noise that may come from the dc-dc switching power supply and replaced the important filtering capacitors with tantalum ones(but the old board revision model can be used also to solder 0805 type tantalum caps as the footprints are large enough). @shabba VL-C700X-1 Ver: B8 is the hw revision of the Livolo switches that I have. But this is marked on the power/relays board from inside and not on the enclosure. So in other words you can see that revision only if you open the switch. Otherwise it's impossible to say as the Livolo manufacturer sells it using the same model number(like VL-C702 or something like that) but the hw revision can be different and can only be seen inside the switch. You can see the board that I have by inspecting the pictures posted on the project page. Crap! I have version C2. I have already ordered all the BOM components! Doh. Can the old PCB be hacked into working with this? What is the actual difference? Can you post some pictures of the new board? I'm curious how it looks on both sides. I'm referring to the power/relays board underneath. I may need to recreate this project board after the new one because my friend for whom I made this project initially bought the new version of the Livolo switches. So in the end I think I'll work on the new version but only after he receives the switches as I need to compare and see the differences from both a mechanical and electrical point of view. Don't worry about the BOM as that part stays the same. What could change is only the PCB layout and its size and/or outline. If you want better close ups etc let me know. Hmm.. I added some links in last post but they don't seem to show.. There's a button called upload image with an arrow inside it and a cloud symbol underneath. Can you focus a little bit better on the power/relays board? Those pics are a little bit blurry. Thanks. Oh..and I almost forgot - thank you for your gratitude. The main change is that they added a 2x7 connector now instead of the old one which was 2x6. But that's not a big problem at all as I can recreate the PCB to accommodate the new one. Still I have to wait for the Livolo switches to come in my hand so that I can identify the changes regarding the new connector(where the relays are connected and the 12-14V line if any). Other than that I don't see any big changes only the rounded corners are not so round now and they have a cut. The MOSFET is placed now at a 45 degree angle and the relays driving IC is a TSSOP one if I see well in the pictures. The 3.3V or 3V regulator is placed somewhere else now but that doesn't matter as I don't need it. So in short: I need to recreate the PCB to accommodate the new 2x7 connector and to add cuts in the corners. BOM will not change. Added a couple more pics. Nice work. I will steal maybe the outline of the board(board frame) :simple_smile: . Did you tested it from a mechanical point of view? I mean will the board fit in the enclosure? And I see that you use the existent voltage regulator from the Livolo power/relays board...I didn't wanted to use that because the voltage drop over it is pretty big(12-14V - 3V =~ 9-11V) and with that in mind considering the TX current of the RFM69 which is around 50mA gives a max power dissipation of: 11V x 50mA = 550mW - pretty high(I didn't added here the MCU, LEDS and other stuff). Now this only happens on TX time which should be pretty short in theory so it should handle that(but better check the voltage regulator datasheet though). Rest of the time it will be around 16mA(RX current of the RFM69W) + a few milliamps for the MCU and other components - around 20mA let's say and this translates to: 11V x 20mA = 220mW(half power dissipation compared to TX mode). Now depending on how much time you're in TX mode compared to RX mode this will be around 300mW maybe if we take the average(but this is just a rough estimation). The onboard regulator that they use is a Holtek 7130-1 device which can whitstand a 24V input voltage BUT only 30mA output current max and it can dissipate using the SOT89 package around 500mW maximum so it may heat. I don't know if on the current board they changed it or not but still imho it's not a good idea on the long term to overload it. Indeed if the average power dissipation doesn't reach that value(500mW) it's ok and you should stay below that: usually it's a good idea to dissipate half of the max allowed power only. And I saw that the 3V voltage regulator powers other stuff on the relays board not only the front plate so we should take that into consideration too. Given all of the above and thinking on the long term that's the main reason I used a DC-DC step down converter powered from the 12-14V line which is also the voltage used to power the onboard 3V regulator that Livolo uses. Most of the problems(if not all) come from a bad designed power supply. It seems that most people underestimate this part but what they don't realize is that the power supply is the most important part of every circuit and that it plays a very important role regarding the final performances and stability of the whole circuit that it powers. For the board frame, i have tested it with paper but it's difficult to check it because paper is flexible.. Same for the position of the 2x7 pins connectors, i think it's ok but i'm not sure until i have tested it with a real pcb. You are right for the power !! I haven't check the current consumption of the RFM !! OMG 45mA in tranmit mode when NRF24L01 is 11.3mA (but with 0dBm output power for NRF). If you keep the average power dissipation under 250mW(half of the max rated value from the datasheet) it should be ok. Reducing the Tx power helps but will decrease coverage - but that's not a problem if you set your nodes as repeaters too as this will increase coverage(not the battery powered ones of course). So yes there are solutions don't worry. Oh and I used paper too when I replicated the original board outline, touchpads and main connector placement. Then I scanned it, imported it into Inkscape, a little bit of QCAD...and in the end got the final results. There may be an easier way of doing it but I didn't had any better idea(s) at that time. What about change 7130-1 to for example: MCP1703T-3302E/MB ? That device is rated at 16V max input voltage...I won't use that because the input varies from 12 to 14V approx. So it's like living on the edge. Why are people afraid of including a DC-DC converter into their design when high voltage drops are involved and a little bit more output current is required - actually we can speak in terms of power here as it's more appropriate. So we all know that when it comes to more power a DC-DC converter is more efficient than a classic LDO. Is it because of noise? That can be filtered not a problem and reduced to an acceptable level. In terms of volume - indeed there are more components involved and a little bit more care is needed when designing the PCB but hey we need to make some compromise in the end...and I for example like to stay on the safe side on the long term. Is there a connection example with ESP? Hi, I don't know of any. There was @DJONvl who claims that he did it on this thread: https://forum.mysensors.org/topic/2775/livolo-glass-panel-touch-light-wall-switch-arduino-433mhz/75. But it didn't got my attention as ESP or any WiFi module is too power hungry for this project where simple sensors/actuators are involved and very light in terms of power usage(including radio transport). But as I said this is only my personal preference. Nice work regarding Kicad. You'll see that on the long term it's a real benefit to switch to Kicad and I strongly adhere to it even though some people would say the contrary. It is indeed a little bit hard maybe to start with it and the learning curve is not the easiest one but after you master it then it will be a joy to work with. And more features/bug fixes are made as we speak because it's a very active developed project now. And on top of that that it's FREE - no limitations or whatsoever. I got my PCBs today in the post. Is there a way to hack them to work with new circuit or should I just bin them? Until I get my hands on the new switches I cannot say. The thing is that they use now a 2x7 connector instead of a 2x6 one. I don't know how the relays are mapped to the new one and the 3V line. But I think that for sure a new pcb needs to be created. But until then maybe @tonnerre33 can shed some light here with some pictures? Is the new connector mapped ok in your schematics? If I see well in the pictures they moved the connector in the opposite direction so yeah...a new pcb design is needed. And to be honest I cannot keep up with the Lenovo manufacturer and create every time a new pcb because they maybe didn't slept very well over night and decided to change hw revision of the power/relays board on which this project relies. This is overkill and it's a downside for this project as I need to rely on their power supply board. But @shabba there's @tonnerre33 who works on this and started ahead of me so maybe you two can sync up on this? Creating a new board with new hardware/new stuff like the ESP-01 is a thing that requires time and testing which is a luxury that I really don't have now. So I'm sorry but I won't invest time/money in creating/testing boards with ESP modules. The only thing that I'm going to do is to re-design the RFM board only as it doesn't require too much changes/work/time/money and it was tested beforehand. @mtiutiu I'm not asking you to design the board again. If you can tell how to connect the ESP module to your board? @mtiutiu Yes the new connector is mapped for the new version. I have checked the pins with the multimeter. I hope you will find the informations that you want. Did you know why the pin in red surrounded is connected to the VIN ? Ok...my bad. I didn't understand your initial question. But now the next question is: what do you want to accomplish exactly? Can you be more specific? Thanks for the pics and for your time. Well that's how the SOT-89 package is designed. If I'm not mistaking the big metallic pad was made like that for better thermal dissipation if you make the copper area which it connects to big enough. Now why it was specifically connected to Vin...that I'm afraid I don't know. Just want to confirm that I also received a "VL-C702X-2 VER:C1" today in the mail so at least they haven't made yet another version. Hello @mtiutiu i think i have finished my first version. I have modified the pcb with your suggestions (power the node with 12VCC). So besides the header being bigger what else has changed? I have received the current PCBs and wondering what I might need to do to make them still work? The position of the header has changed too. Now it's on the right part. I think you can use your pcb but you'll need some wires between the femal header and the new mal header. 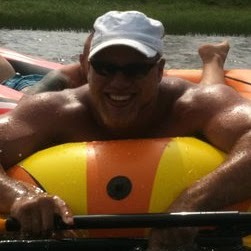 @tonnerre33 Thanks - do you happen to know the pin out? @tonnerre33 Thanks! Do you know the old one? That's my fool. I saw it in the develop branch. I think the mtiutiu node will be more optimised. I learned and i hope continu to learn many things with him. hi @mtiutiu - I see https://github.com/mtiutiu/kicad/tree/master/mysensors/node/livolo_EU_switch/VL-C702X-2_Ver_C1 - Is this good to be ordered? If you give me a link on where you get a % I would like to order from there. It's not finished yet. That's just a draft for the upcoming new hardware. When it's finished I'll publish it. As I said all of my work is done using my free time. For now I'm on vacation...will start working again on this project next week. @mtiutiu I was not meaning to sound pushy! Enjoy your vacation. How about this project now? It is abandoned, have a look at the description. I replied in the nrf51822 thread. Yes I managed to make it work like the original with BLE stack. And using the wonderful Cypress Proc BLE solution including capsense and lots of goodies . Cypress really rocks! I love them. The current consumption was lowered to 200uA without being connected and 700uA connected. Those numbers include LEDs current consumption and other blocks like touch sensing. I'll get back with more updates when it's finished.